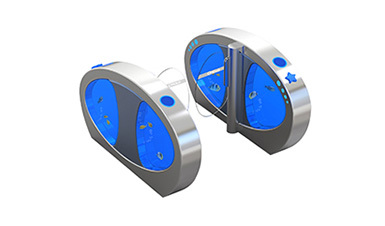 It is the world’s first original intelligent unattended guard gate. It adopts CMOLO creative multiple persons’ motion model with intelligent recognition algorithm to judge pedestrian passing access. 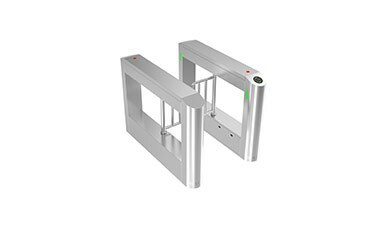 Comparing to traditional turnstile gate, intelligent unattended guard gate is with double gates design. It allows more than one person to pass at a time, not just one person each time, so the throughput rate is very high. Meanwhile, combining the operational principle with structural design, it can prevent illegal passing and tailgating, truly realize unattended guard and greatly improve the security level. 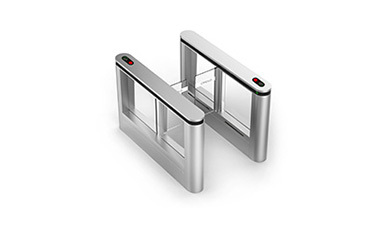 Intelligent unattended guard gate can also integrate with property management system to achieve intelligent identification, broadcast, collections of passing data, real-time dynamic supervision, remote control and remote authorization of visitor access, etc. Besides, it canalso arrange dynamic property announcements and put on commercials. It is suitable for high security applications, such as residential areas, government compounds, scientific research bases, and enterprise zones, etc. 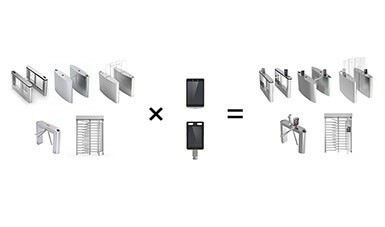 Double gates design: when gate A opens, gate B is locked completely; only when gate A closes can gate B open; and vice versa. 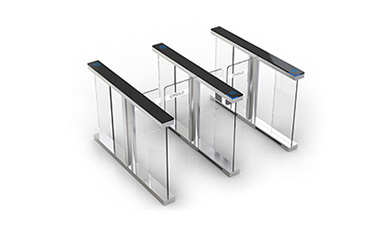 Multiple persons passing at a time & bringing visitors: Multiple persons can pass through at the same time. 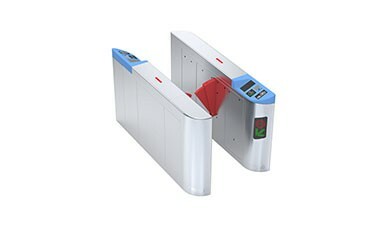 After passing through the first gate, the user who brings visitors just needs to swipe the card and enter the number of visitors on the keyboard, and then pass through the second gate with all the visitors. Shared used of pedestrian & cyclist: Users can bring luggage/pets/bicycles/trolleys/motorcycles, etc. 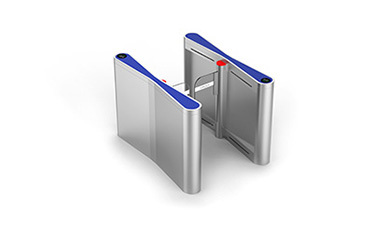 Unattended Guard & prevent tailgating pass: The intelligent unattended guard gate has a huge body and with interlocked gates A/B, so there’s no way to pass through the gates directly. 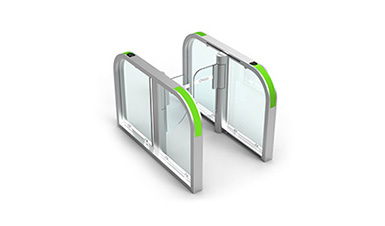 Adopting double gates design, guard gate restricts pedestrians in the detection area. Gate B won’t be opened until all pedestrians’ passing accesses are confirmed to be valid. 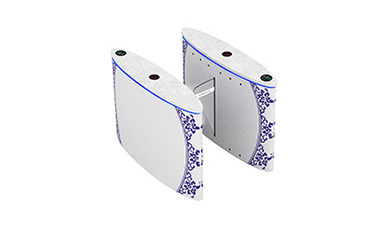 It can truly achieve anti-tailgating pass and illegal intrusion, greatly improve security level. 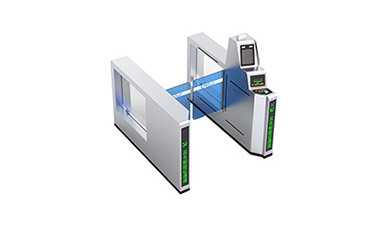 Double verification:①First dominant verification: Support IC/ID card recognition system, facial recognition system, fingerprint identification system and vein recognition system, etc. 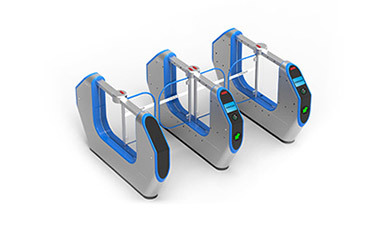 ②Second recessive verification: Adopting with related algorithm, the intelligent unattended guard gate can count pedestrian numbers accurately. 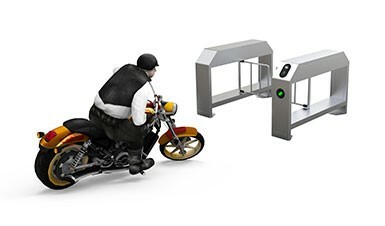 Users can’t go on to pass through until a valid card is swiped and a correct number of passing persons has been entered. Ingress Protection Grade: Up to IP65, with strong waterproof and dustproof ability. 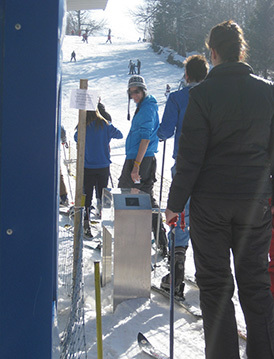 When the power is off, the system will unlock gates automatically, pedestrian can manually push gates into an open state for evacuating. 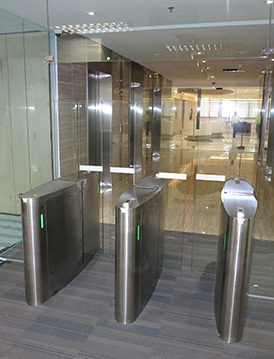 ① Light curtain infrared anti-clamping: During closing process, once people or object is detected within the anti-clamping area, guard gate will automatically open to prevent pinching people. ② Security rim anti-clamping: During closing process, if pedestrians touch the sensing parts of security rim, guard gate will automatically open. ③ Current detected anti-clamping：During closing process, if guard gate encounters obstacles, main control board will detect current to control the gate’s action and guard gate will automatically stop closing and then open again automatically; the impact force is within safety range when guard gate is closing. 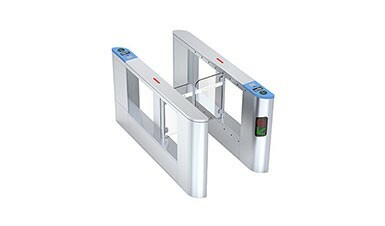 Adopting CMOLO original pedestrian numbers identification algorithm and AB gates’ structure design, when the identity recognition and pedestrian numbers recognition are valid& identical, guard gate opens to let pedestrians go through. 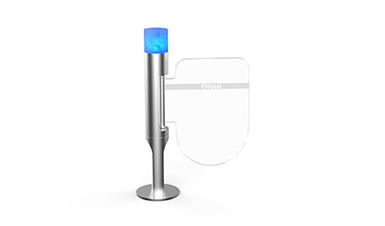 It can effectively prevent tailgating pass and illegal intrusion. CMOLO independent research and development of lossless mechanism structure, high-quality DC brushless motor imported from Europe and approach switch are configured to ensure guard gate’s longer lifespan. Carrying advanced servo control system and DSP+ARM motor control technology and combining CMOLO original motor control algorithm, it can truly complete precise control & positioning and achieve stable performance and maintenance free. Appearance: customized according to customer’s requirement. Stainless steel thickness of the cabinet: customized within 1.5~3.0mm. 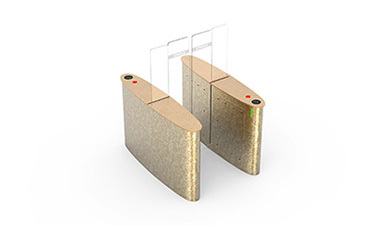 Material of gates can be organic glass. Surface finish of the cabinet: satin finish / polishing / frosted finish / electroplating / baking finish. 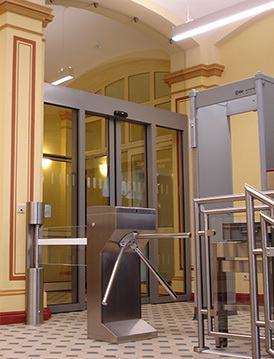 Integrate with access control system required by customers, and built-in reader appointed bycustomers. 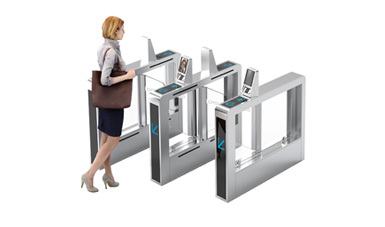 Integrate with facial recognition, fingerprint identification, ID card recognition, passport identification system, etc. Equipped with TCP / IP communication. Install the gate open button with wireless remote control.